Even though there are only 3 places to conserve water in a bathroom (toilets, faucets, and shower heads), the savings can be substantial. In homes, toilets can account for as much as 30% of the monthly water usage. Water saving toilets are going to reap benefits immediately. The first option is to decrease the gallons per flush. A high-efficiency toilet will use no more than 1.28 gallons per flush compared to the former standard of 1.6 gallons making the newer models 20% more efficient. One warning. Homeowners should be aware that some lower quality high-efficiency toilets might take multiple flushes. Those extra flushes defeat the purpose of upgrading. Another option is to install a dual flush toilet. These toilets use less water for liquid waste–anywhere from .8 to 1.1 gallons–and allow a full 1.6 gallons for solid waste. 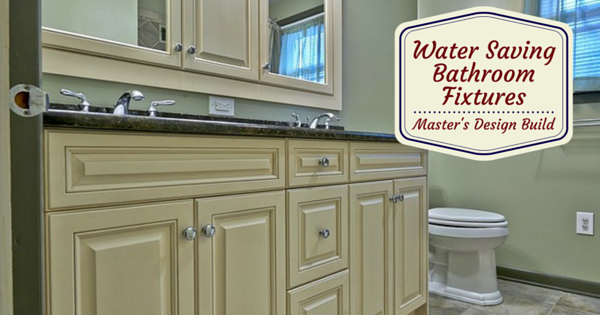 Bathing and showing accounts for as much as 20% of a home’s water usage. The shower head is the next place to look for water conservation in the bathroom. Homeowners can cut their water usage in the shower by as much as 70% by installing an ultra-low-flow shower head that uses no more than 2 gpm. That potential savings could make the shower an even better place to look for improvements than the toilet. Using an ultra-low-flow showerhead could also save on energy costs. By using less water in the shower, you won’t need to heat as much water. By some estimates, households could save as much as 300-kilowatt hours of electricity per year. High-efficiency faucets deliver 1.5 gpm as opposed to the older models’ 2.5 gpm. Some homeowners might opt for the option of installing an aerator or flow restrictor, but the demand for environmentally conscious products has prompted manufacturers to update their designs for high-efficiency models. Upgrading these fixtures as a part of the renovation will allow the homeowner to achieve the aesthetic appeal they’re looking for while remaining socially responsible. The key to any bathroom renovation is having the right experts to advise and guide the customer. 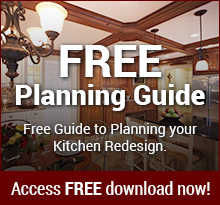 Our professionals know the best products available to help homeowners build their dream bathroom. Contact us today to see how we can help you get your project started.